How often do you go hiking? This pictograph worksheet shows how many hikes Eric and his friends went on this month. Use the information to answer questions and determine who hiked the most. 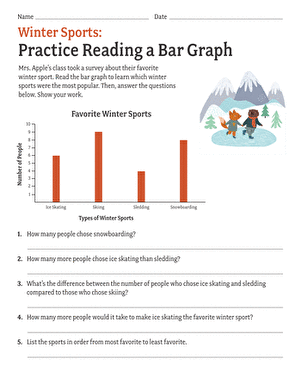 Your kid will get some practise analyzing data on a graph.